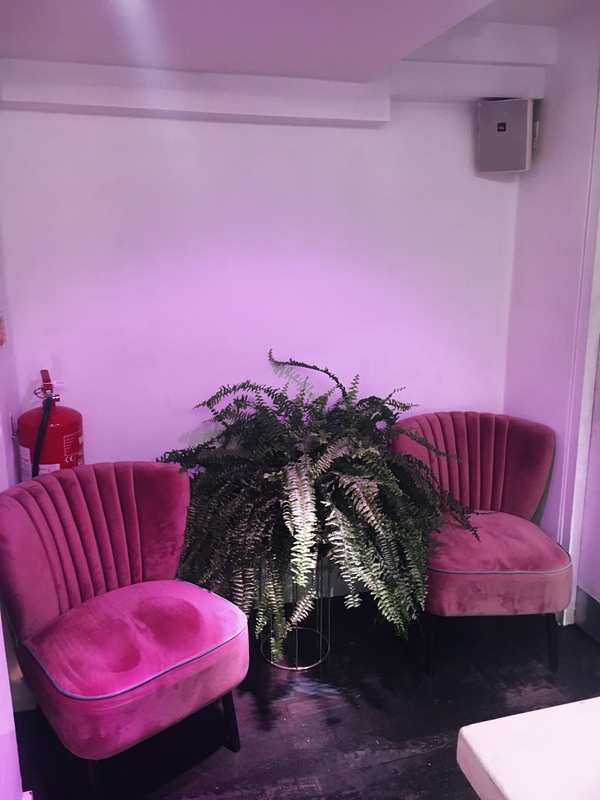 I’ve been wanting to visit Palm Vaults for a while now as I have heard such amazing things, but as it’s based in Hackney it’s quite a trek to get to. 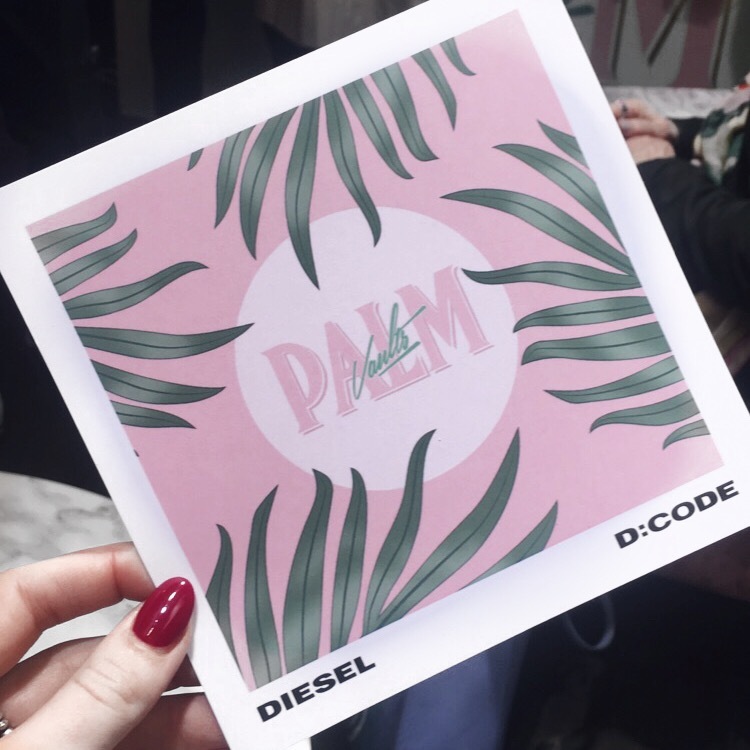 When I found that they had a pop up mini cafe in the Diesel Women’s Carnaby store this week I knew I just HAD to go check it out! 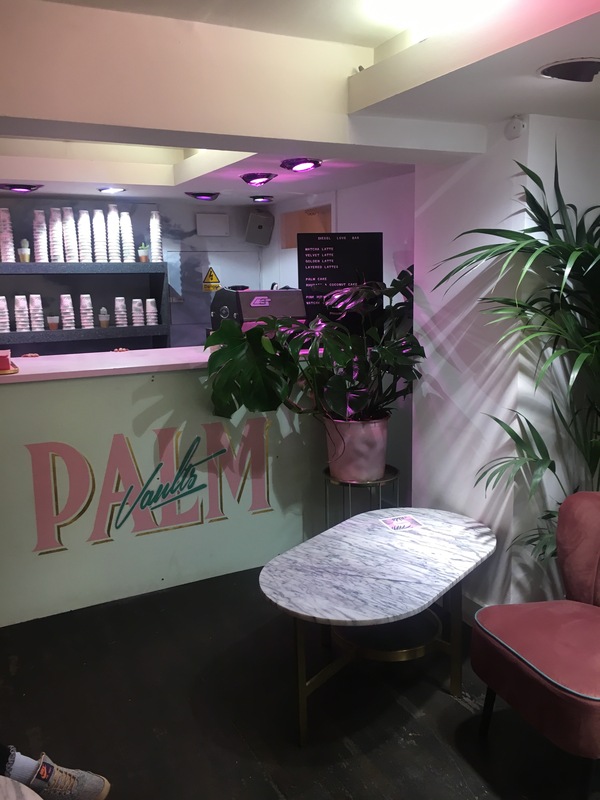 Palm vaults is a super cool cafe offering plant based food and drinks along with being full of colour – a veggie / vegan dream! 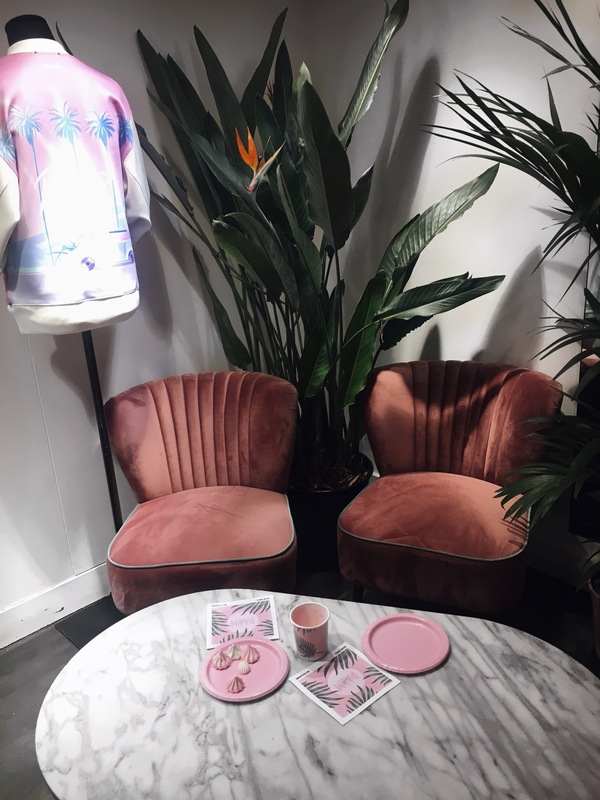 It’s reoccurring theme of pink velvet, marble and palm trees / huge greenery makes it stand out and gives off a Miami 1980’s vibe whilst also being a perfect setting for some insta pics! They didn’t have a huge menu selection but they were offering matcha latte, velvet latte, golden ( turmeric and ginger) latte and a layered latte which are all a healthier option to normal coffee. They also offer cocktails from 4-7pm. It was also a pleasant surprise to find out that it was all free and you don’t have to pay for the drinks! (Although I’m not sure about the cocktails being free). 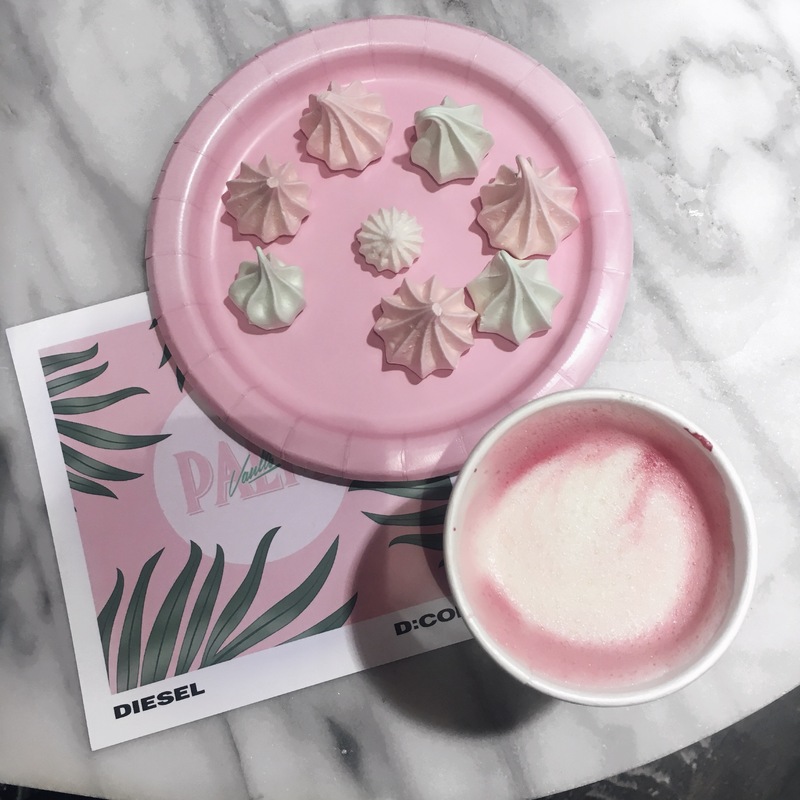 I’ve seen a lot of people raving on about their Velvet Lattes – a mixture of milk, vanilla and beetroot – and best of all they come out PINK! So I obviously went for this and although it sounds like a funny mixture of ingredients it surprisingly was delicious! We also were given a plate of meringues that went down a treat with our lattes. 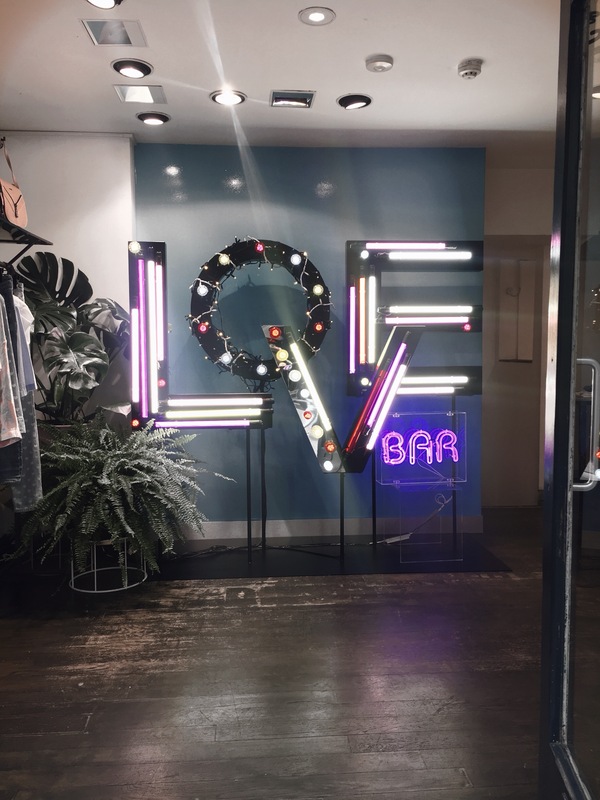 The pop up is there until this Sunday so if you’re in the area I’d go check it out – why not try something a bit different? You have nothing to lose!